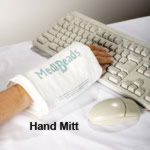 These TheraBand hand exercisers are ideal for strengthening grip and increasing hand motion. Five color-coded levels of resistance accommodate a weak to strong hand grasp. 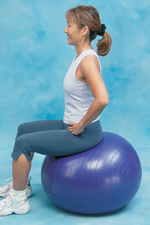 These exercise balls can be heated in the microwave for warm therapy, or chilled in the freezer for cold therapy. A brief listing of some hand exercises is included. The hand exercisers measure 2 in in diameter.